King Solomon Church was originally built as Temple Baptist Church in 1915. Temple Baptist Church was located at 6125 14th Street at the corner of Marquette Avenue on Detroit’s west side. Temple Baptist Church was originally built in 1915, but additions were added in 1937 and 1941. The Temple Baptist Church was designed by J. Wilson in English Gothic architectural style. The exterior featured large semi-arched stained-glass windows, light-brick façade, gray sandstone trimming, and a green-tiled roof. 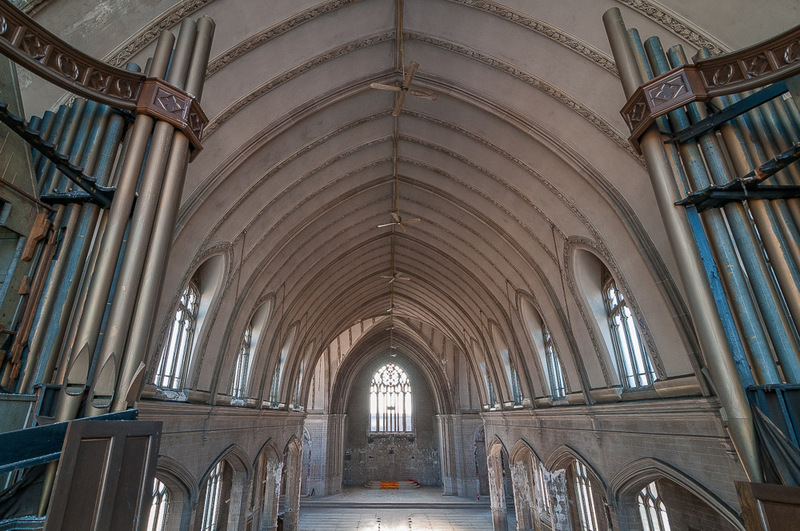 The interior featured a massive auditorium that sat over 1,200 parishioners, a baptismal, a study, a library, a kitchen, a banquet hall, and a gymnasium. Temple Baptist Church continued to grow over the years and eventually became such a big enough congregation that they had outgrown the 1915 building and had to build a larger church….and they did. In 1952, Temple Baptist Church had moved out and King Solomon Church moved in. King Solomon Church had operated out of smaller church before moving into this location on 14th Street because they needed more space and a larger church as well. King Solomon Church eventually established a youth program at the church and converted the gymnasium into a boxing ring, a roller skating arena, and a dance hall. 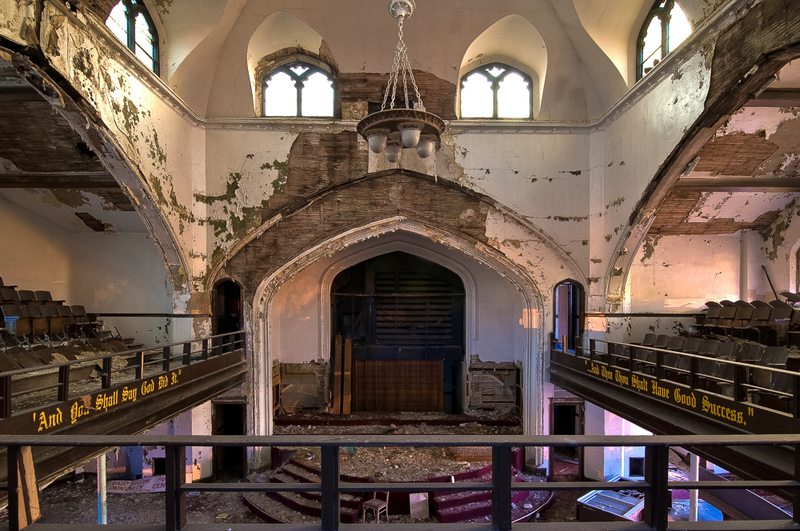 King Solomon Church was also the site of many historic appearances and speeches for Detroit. In 1954, Thurgood Marshall spoke at King Solomon Church about the NAACP victory in the Brown vs. Board of Education ruling. In 1958, Martin Luther King Jr. made an appearance at King Solomon Church for a meeting regarding the annual National Baptist Convention of America. In September 1963, Martin Luther King Jr. made another appearance at King Solomon Church in celebration of the 100 years since the emancipation proclamation. He had given his famous “I Have a Dream” speech in Washington D.C. one week earlier. In November 1963, Malcolm X gave a keynote speech entitled “Message to the Grassroots” to the crown that had gathered for the Northern Grass Roots Leadership Congress at King Solomon Church. In 1964, Malcolm X mad another speech at King Solomon Church. He repeated his famous speech “The Ballot or the Bullet” that he had given just one week earlier. By the 1980’s the neighborhood around King Solomon Church had drastically changed. Many of the beautiful homes had become abandoned and the streets that were once filled with playful children, now looked more like a ghost town. King Solomon Church closed most of the building in 1999, leaving only the sanctuary auditorium open. By this time only about 100 members remained. In 2010, King Solomon Church closed for good. 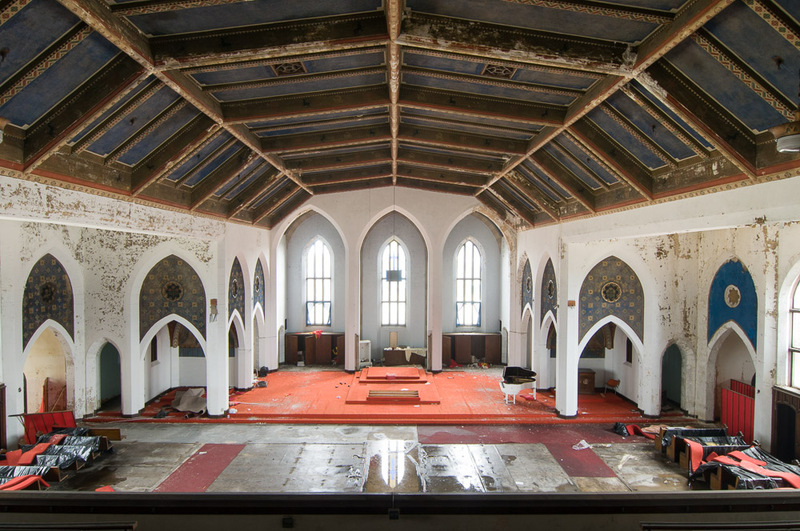 Shortly after closing for good, the City of Detroit awarded King Solomon Church it’s much deserved historic designation. This recognition did little to help save the church and it still remained vacant. 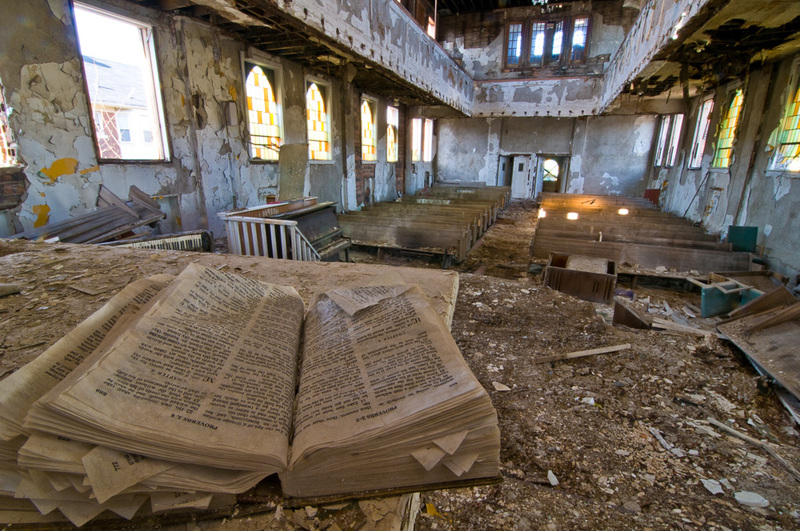 Scrappers, vagrants, and vandals began to enter the former church and destroyed much of the building. As of 2015, King Solomon Church still sits abandoned and slowly falling apart. 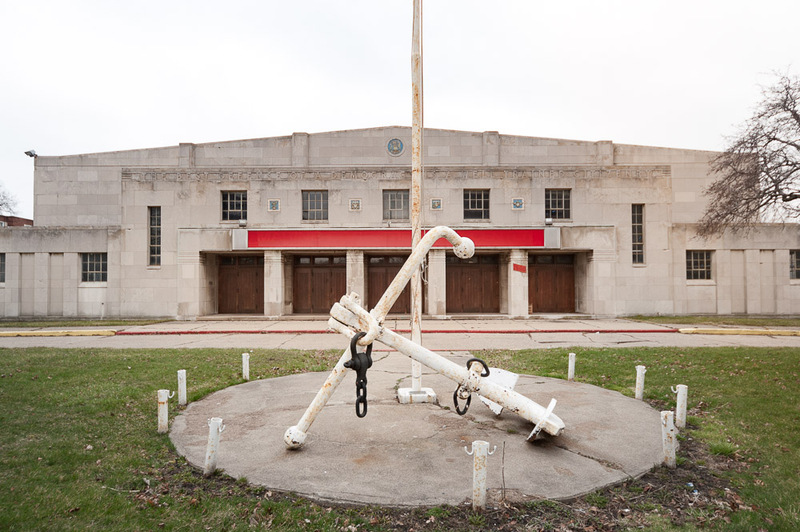 There are no current plans for redevelopment or demolition of this historic location. The exterior of the Brodhead Naval Armory in 2009. Back when the anchor was still there. A look at the mess hall and gym combo at the Brodhead Armory. 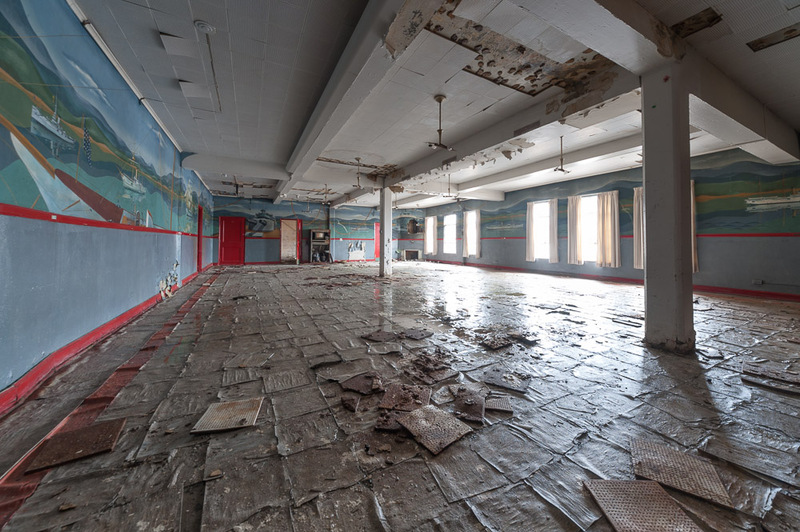 A view of the battleship themed room downstairs in the Brodhead Armory. 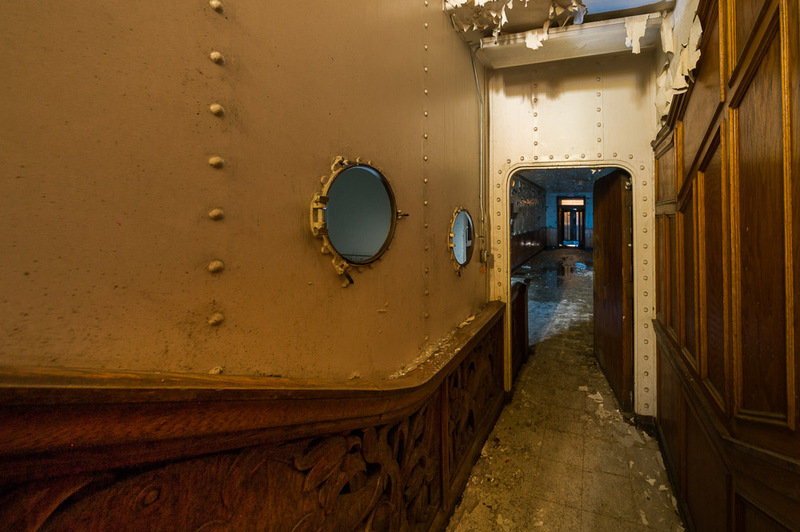 It was built to resemble an actual battleship. 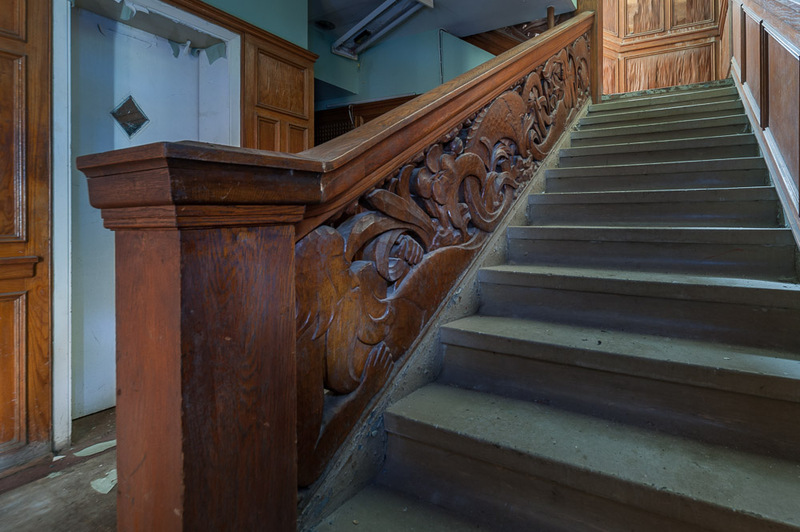 One of the main stairways at the Brodhead Naval Armory. The gorgeous woodwork was featured throughout. 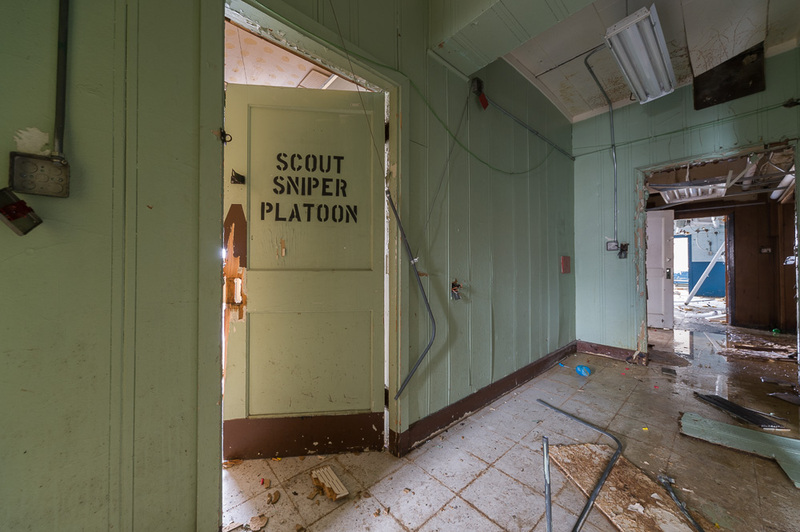 Scout sniper platoon room at the Broadhead Armory. A view of the intricate woodwork inside the ballroom at the Brodhead Armory. 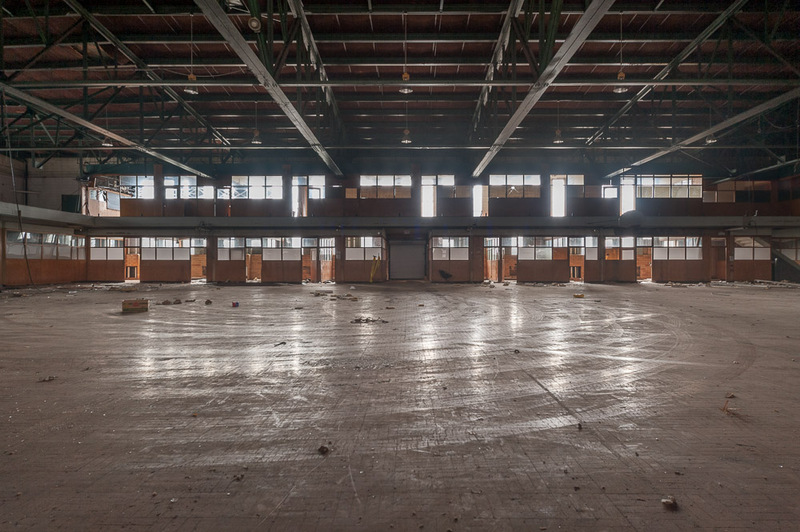 The meeting room at the Brodhead Naval Armory. 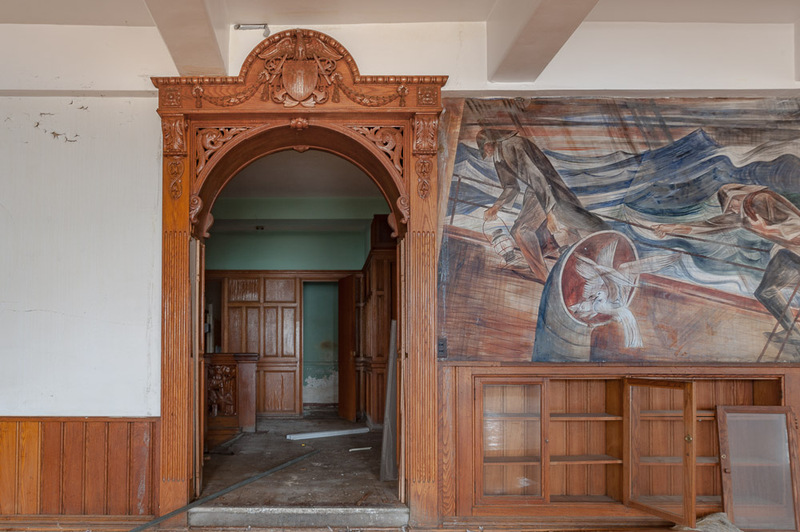 A fireplace sits below one of the WPA’s naval murals in one the rooms at the Brodhead Naval Armory.